The GROHE Allure Brilliant two-handle basin mixer – elegance and premium performance! Creative minimalist design meets cutting edge technology! With an elegant look based on the rectangle and circle, the deck-mounted three-hole GROHE Allure Brilliant basin mixer with two lever handles creates a dramatic style statement in any contemporary bathroom. Packed with GROHE’s innovative technology, it comes with a convenient pop-up waste and is a pleasure to use. GROHE EcoJoy limits water flow to 5 l/min, which saves water and money without compromising performance. The gleaming GROHE StarLight chrome finish is scratch-resistant and needs only a quick wipe to look pristine and new. 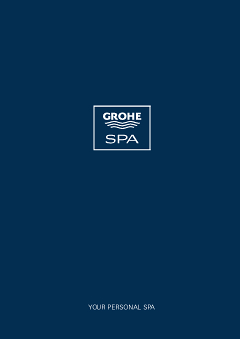 GROHE Allure Brilliant – where delightful bathroom comfort meets functional perfection.